This event is to benefit the Webster Dewangen Student Exchange. You may select your t-shirt size on the registration form. Click on the 'Download' below for a printable registration that also provides additional event details. Webster Armory| Race 10 a.m.
Held rain or shine. We reserve the right to cancel in extreme circumstances. In that event, there will be no refunds and your entry fee will be used as a donation to the Webster Dewangen Student Exchange. Click on 'Download' below for printable registration and more details. Late entries may not receive a t-shirt. Click on 'Website' below for registration. FOP Lodge #10 Outrun the Police 5K Walk/Run will be on June 22, 2019. Click on 'Download' below for a printable registration for and more details. We meet at the NW corner of Kessler's parking lot. Saturday runs are usually 5 to 8 miles. Pace varies. We meet at the NW corner of Kessler's parking lot. NORMALLY, we do 5 mile laps throughout beautiful Aberdeen. We start 7 am. Some runners start early (6 am) and return by 7 am and will join the 7 am group. Please email for early start times. If 5 miles is too far, there are several short cuts available. 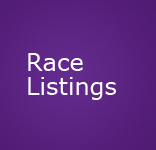 Pace varies and we invite runners of all ability levels. We can run with anyone unless you run faster than we can.